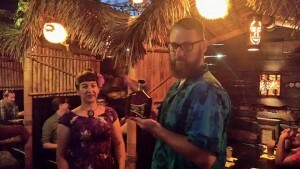 Many Tiki bars have their lists. Not the kind you don’t want to be on like Santa’s naughty list, but the kind that does damage to your liver and wallet. I’m talking about is the rum list. It is known by many names depending on the establishment you may frequent. 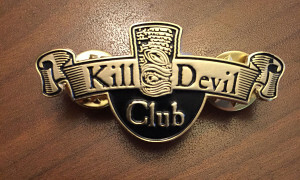 In this particular case it is know as the Kill Devil Rum CLub. Nine years ago the Forbidden Island opened in Alameda,Ca under the command of Martin Cate and the Thanos Brothers. 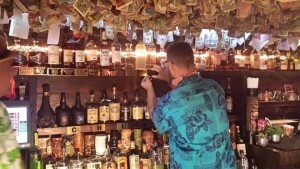 Aside from the amazing decor and long list of historically accurate Tiki cocktails is, the Kill Devil Club, a list of over 100 rums from many regions of the world, created to educated those to the wonderful complexity and variety of the spirit that is rum. Like any college student I was very familiar with rum & coke, but rum on its own. Please. 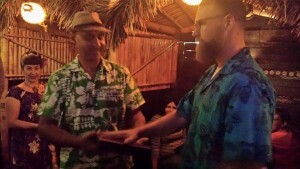 This list has served as an amazing, eye opening, wallet depleting journey that has at long last, at this tiki bar anyways, come to its conclusion. I have FINALLY, after a short period of time spanning nine years, finished my list at The Forbidden Island. My name will be added to the wall, in shiny plaque form, along side an already long list of people who have finished this list, forever immortalized behind the bar. Many have completed this list more than once. One gentleman, in fact, has done so over twelve times, a feat which I believe will never be met; certainly not by me. But I do have the distinction, to date, of having taken the longest time to complete the Kill Devil list. 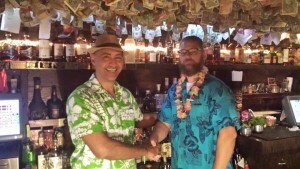 The greatest part of this adventure has been in the numerous wonderful people that I have met on this journey and the wondrous experience of being exposed to, agricole aside, so many varying and delightful rums. And now back to Mai Tais and Painkillers.